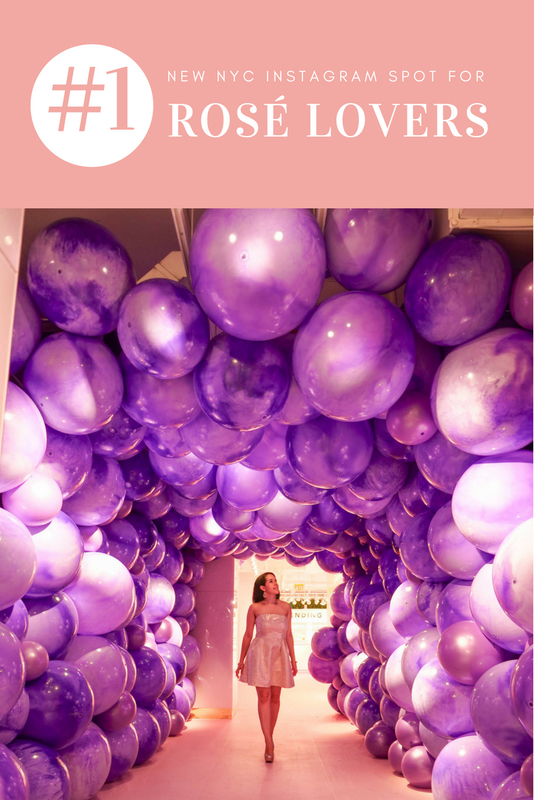 If “rosé all day” is your summer mantra and you don’t have extra days to fly from NYC to a pink sand beach, then you will love the latest interactive museum exhibit experience that Rosé Wine Mansion offers in Midtown Manhattan. A few highlights include a chandelier you can swing in, a mini pink sand beach and bathtubs full of rose petals. For more top things to do in NYC check out our guide and video here. 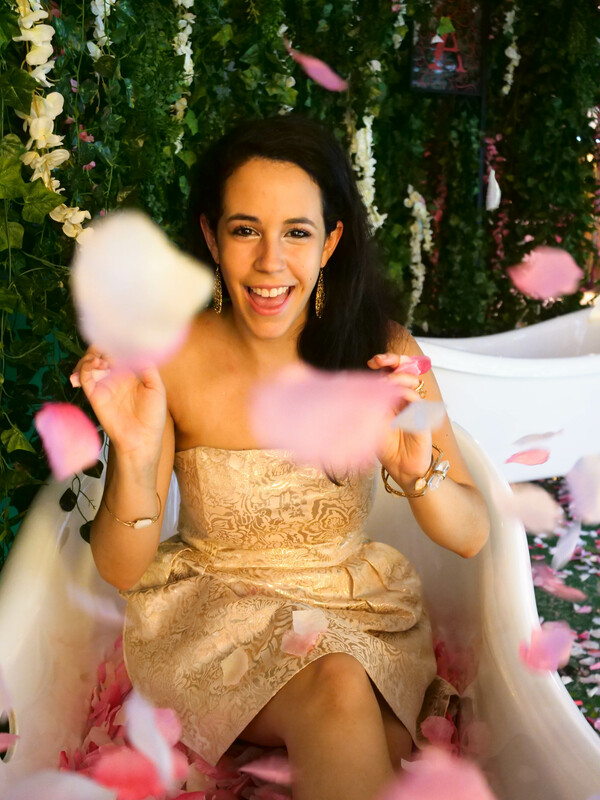 Rosé lovers can tour the space that is built for multiple Instagram photo moments while even learning about the history and science behind what makes this pink drink so delectable. During the tour, guests can try eight different wine tastings and can even customize their own perfect rosé blend. It all ends at the Grand Tasting Lounge, where guests can buy more rosé from the largest rosé collection in America. It is open until October 7th and since so many people asked me questions about it I wanted to share a few answers, so you know the best time to go, best spots for photos, what to wear and what to expect! 1. Where is it located exactly? It is located at 445 5th Ave in Midtown Manhattan, New York. 2. When should I visit? I visited on a weekday at 2pm, the earliest timeslot. Employees told me that it gets much busier during happy hour and after work timing, so I would recommend going as early as you can. 3. What should I wear? Most of the walls are shades of pink, so if you do wear pink I would recommend wearing a much lighter or much darker shade or another color like yellow or purple to stand out. Keep scrolling to see some of my photos and what I wore! Yes, I did change at the end into a second outfit, since there are bathrooms, but it did get busier, so I wouldn’t recommend bringing a second outfit, though I might recommend bringing a cute pink jacket or other pink accessories like pink sunglasses. 4. How much does it cost? General admission is $45 and happy hour (weekdays until 4:30pm) costs $35. Each ticket includes the tour, a Rosé Mansion wine glass by GoVino, a pin and access to the bar at the end. 5. What is your favorite room? Many who visited loved the bathtub room! The employees just told me that since it is their most popular room they even added a second bathtub to help with crowds at certain times. My favorite spot has to be the New York City sign above or the Chandelier below, which is built to swing on! I loved taking these creative shots through one chandelier to the other! 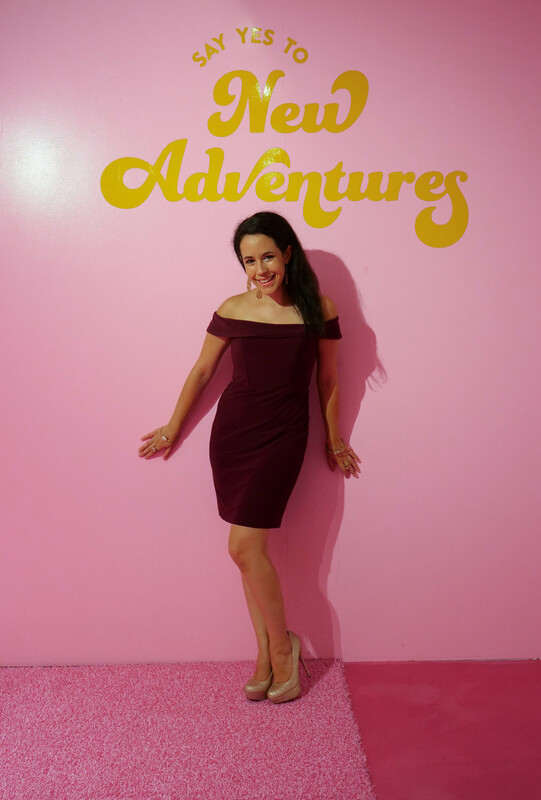 For more fun pop ups in NYC check out my friend’s amazing blog post here. 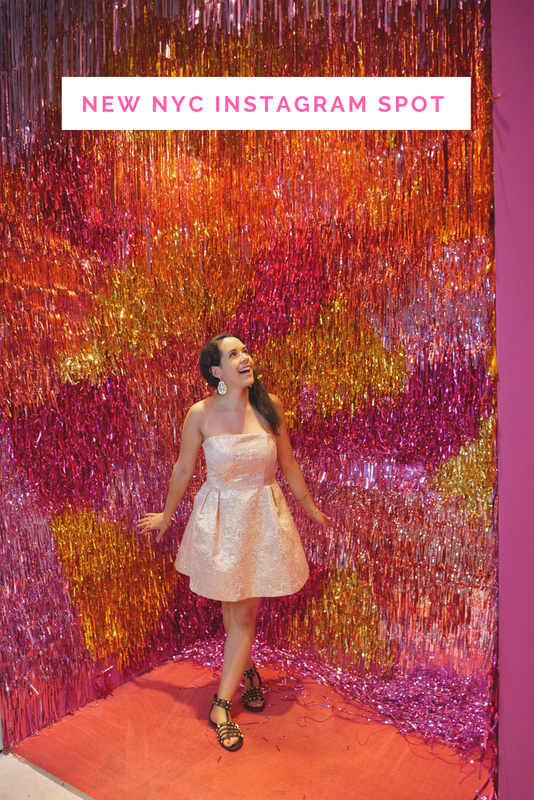 Have you been to an immersive photo exhibit experience like this or the Museum of Ice Cream? Which spot is your favorite for photos? I really loved this post. The mansion sounds and looks amazing. Your photos are so great and you look beautiful in your lovely dresses. Thank you so much, so glad you enjoyed this post!